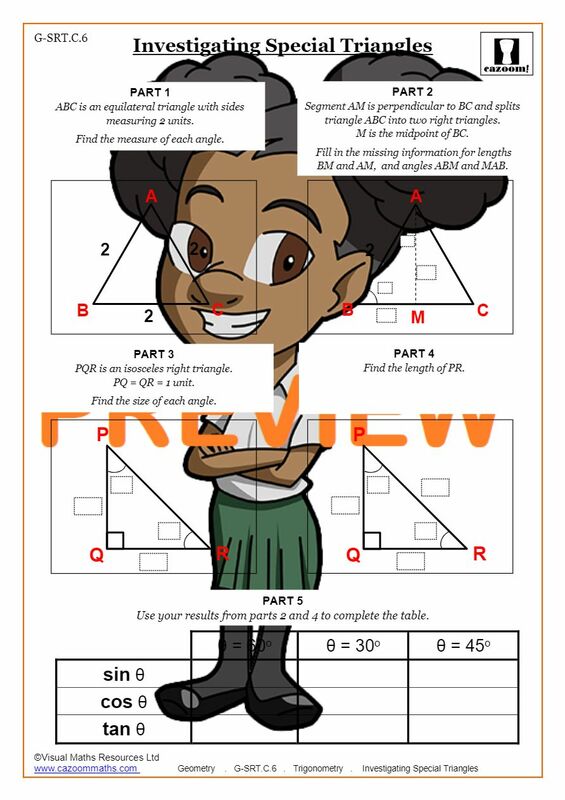 We have created a series of Math worksheets to help High School students understand the relationships within triangles. 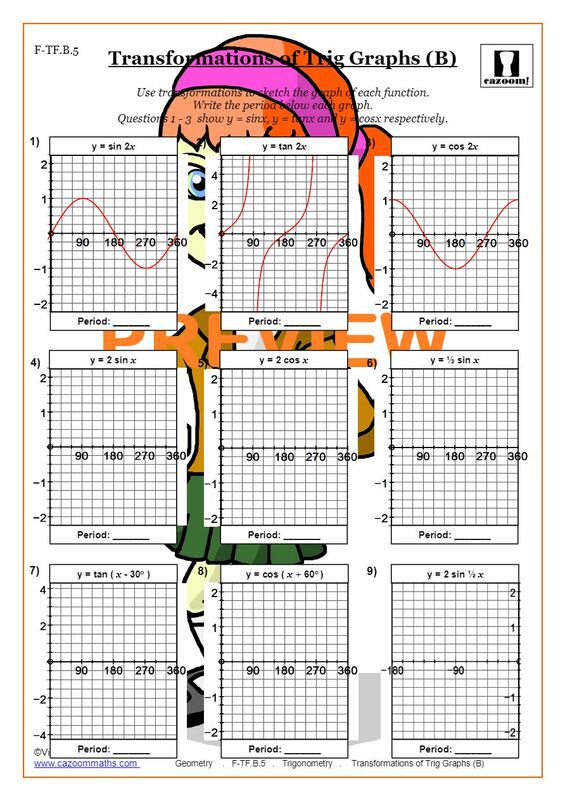 We begin with worksheets with the properties of sine, cosine, and tangent measurements and then move to trigonometric word problems (both with and without pictures). 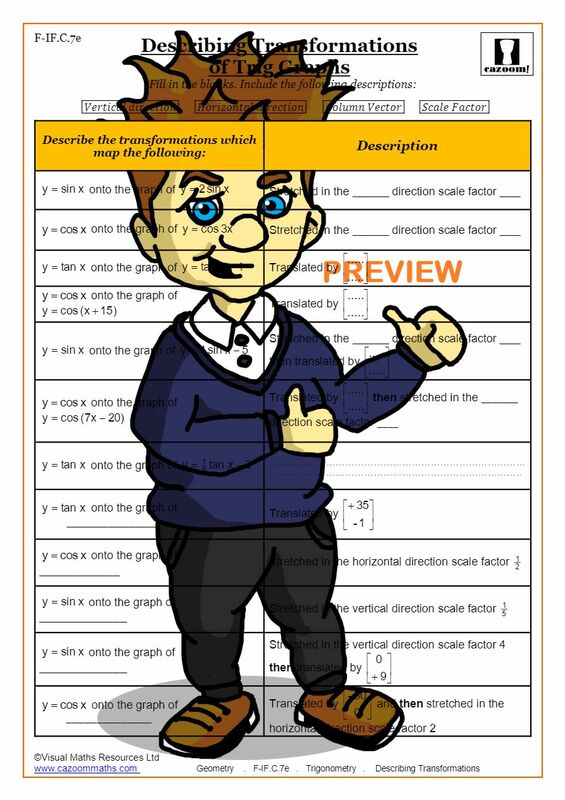 Cazoom also has created graphing worksheets with ways for your child to interact with transformations of common trigonometric graphs. 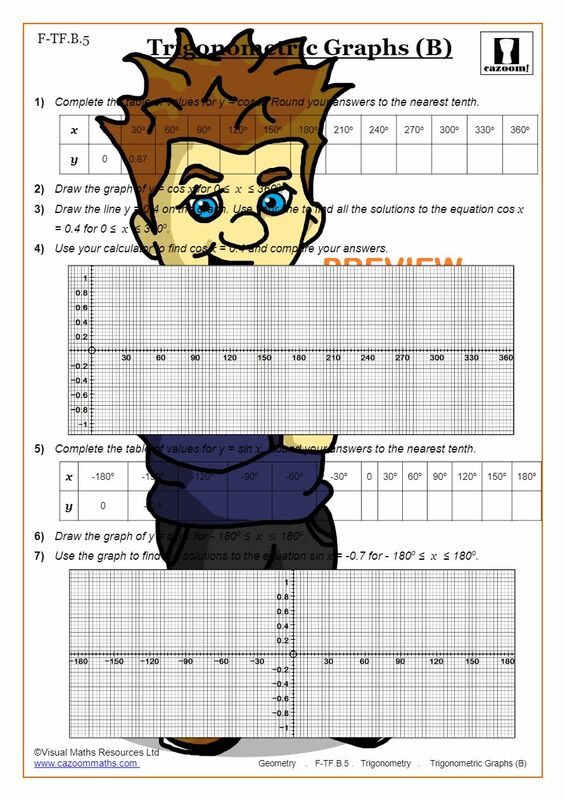 Our dynamic set of worksheets with varying levels are sure to build your child’s knowledge of trigonometry in an exciting way. 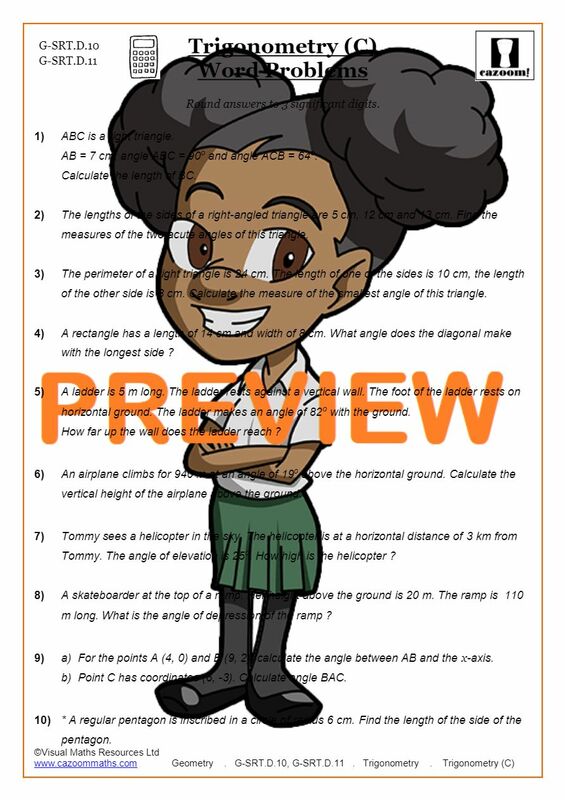 At Cazoom Math, we create a variety of Math trigonometric worksheets that will be sure to meet the needs of your High School child. We have also provided answer keys to all our worksheets, so your child can build confidence in working within triangle concepts. 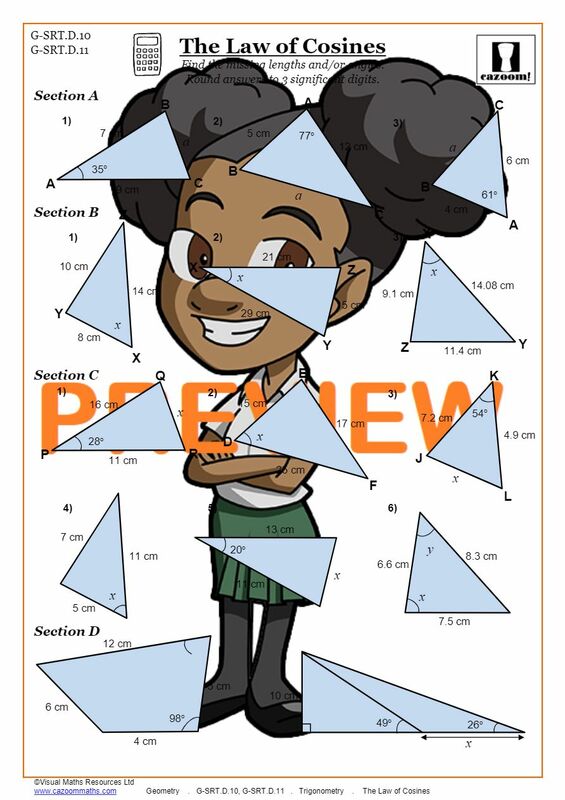 These resources are a way to bring understanding and excitement, while also challenge your child to think beyond their basic understanding of triangles. Trigonometry is such an important skill to have for the real world. 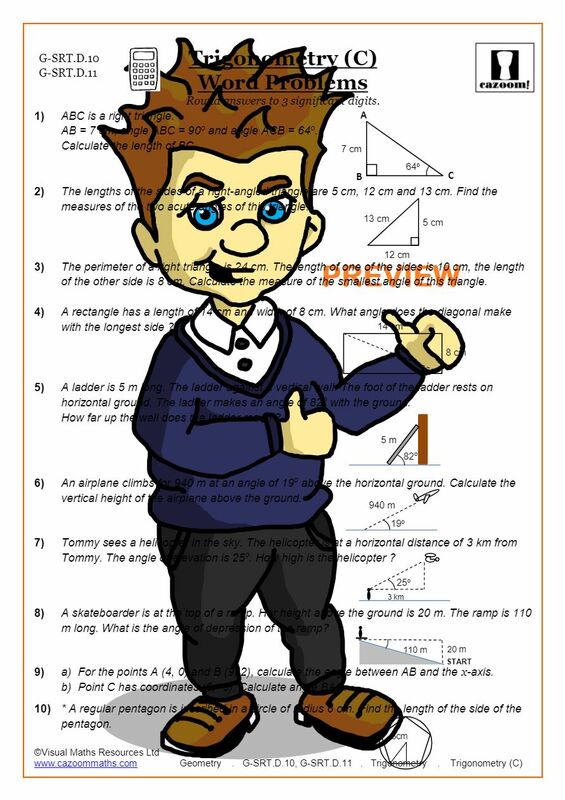 First, many occupations use trigonometry in their daily work, such as medical professionals, aviators, and astronomers. 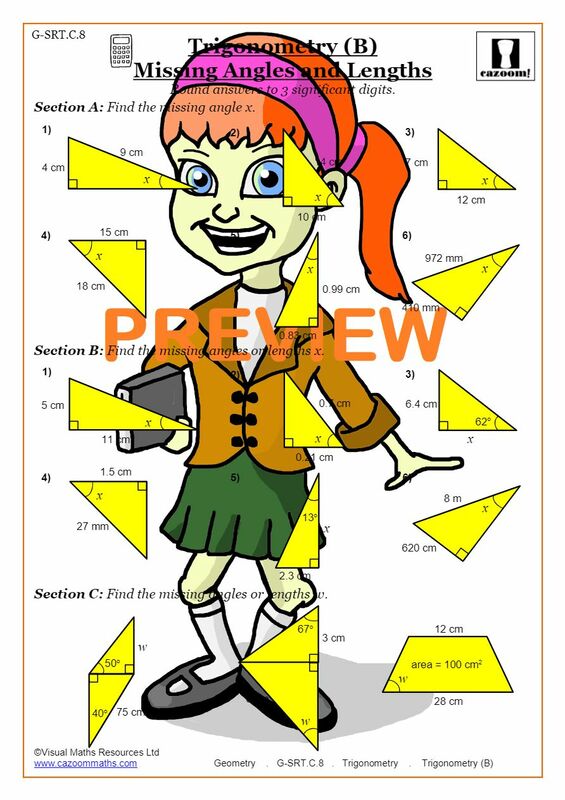 Aside from this, trigonometry can instill problem solving skills that help students in future careers be able to work well with others. It also builds critical thinking skills that prepare students for making decisions. 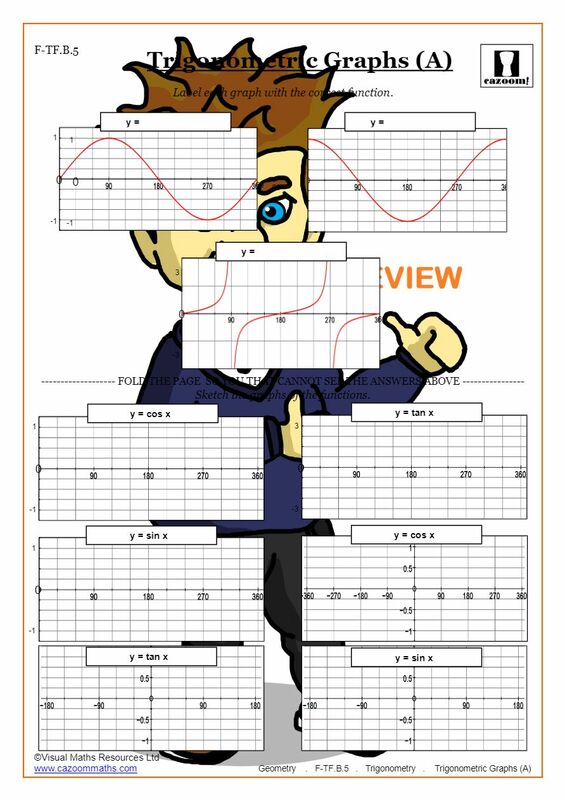 So, while it may seem trivial to find missing side lengths and missing angles, the skills that are being built through trigonometry are invaluable. 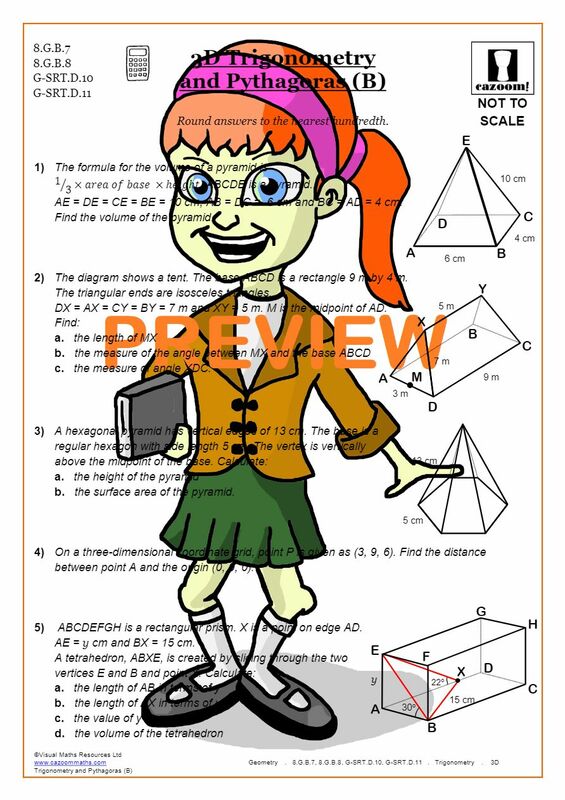 A solid knowledge of trigonometry is essential for any student who aspires to work in a scientific discipline. 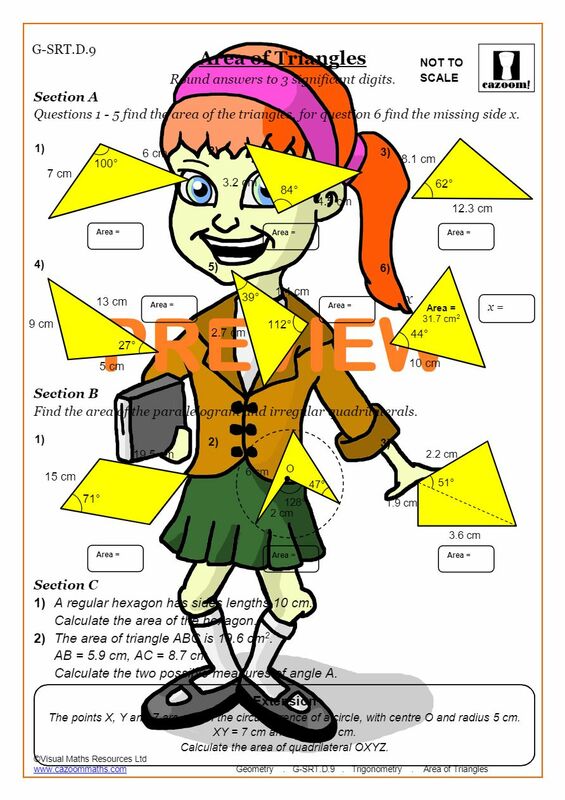 Students will need to master trigonometry in order to study math and sciences, subjects which they will need to secure a college place for engineering, medicine, and the sciences. 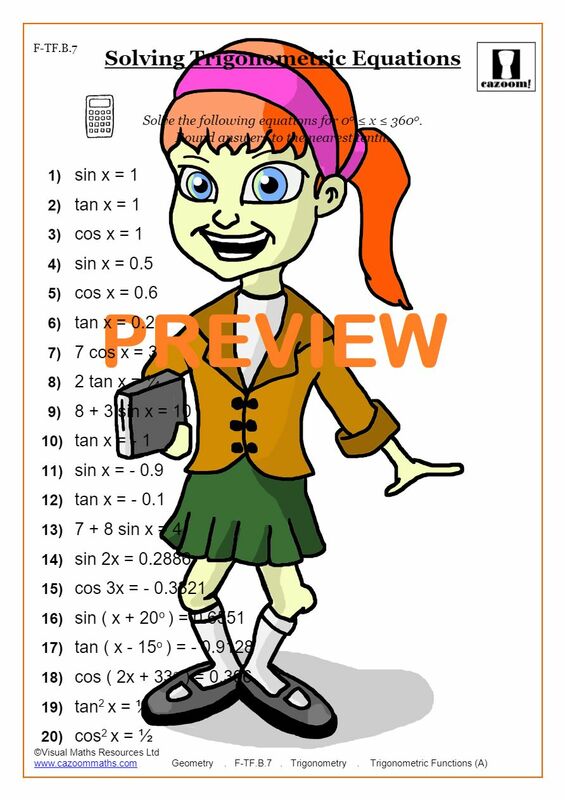 Although many computer applications perform trigonometric calculations automatically, all the staff working in these industries will have an excellent knowledge of trigonometry and use it regularly. 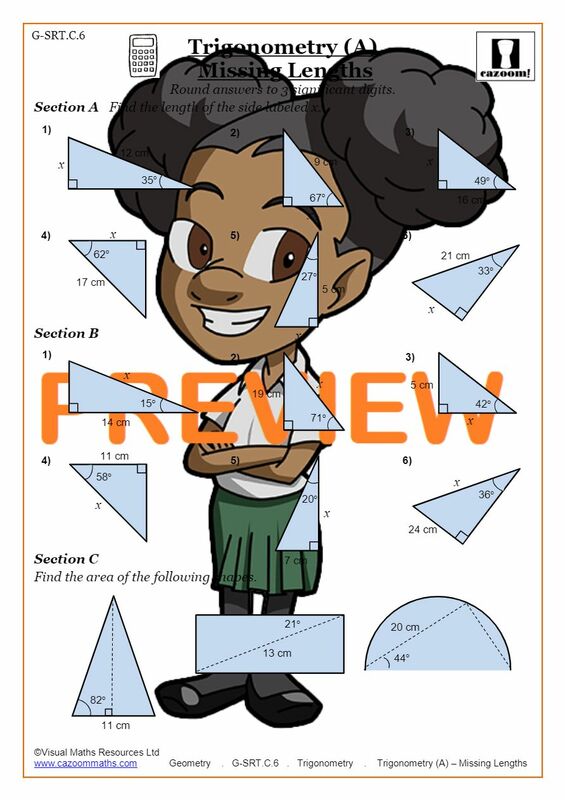 Even if students do not wish to pursue a career in these technical and scientific fields, practicing trigonometry questions helps them develop transferable skills valued by all employers. 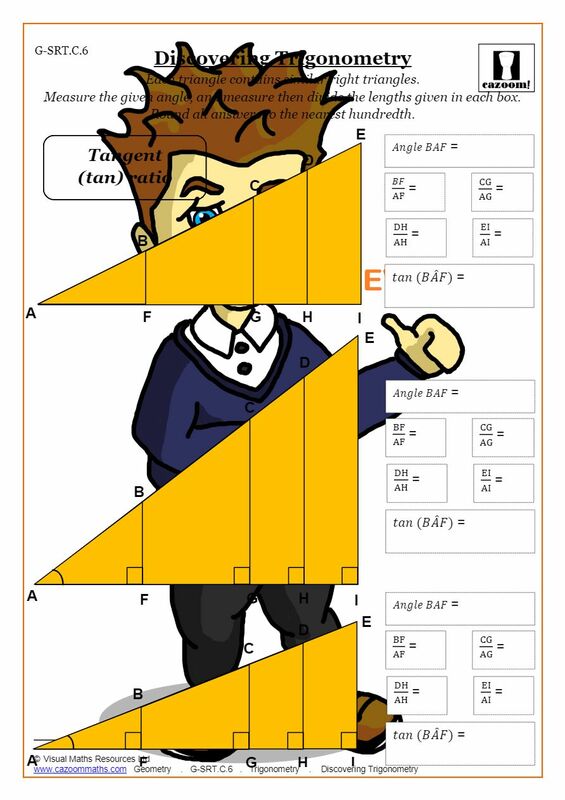 Using Trigonometry improves students’ problem solving abilities and promotes critical thinking, skills which will prove useful throughout their studies and into adult life. 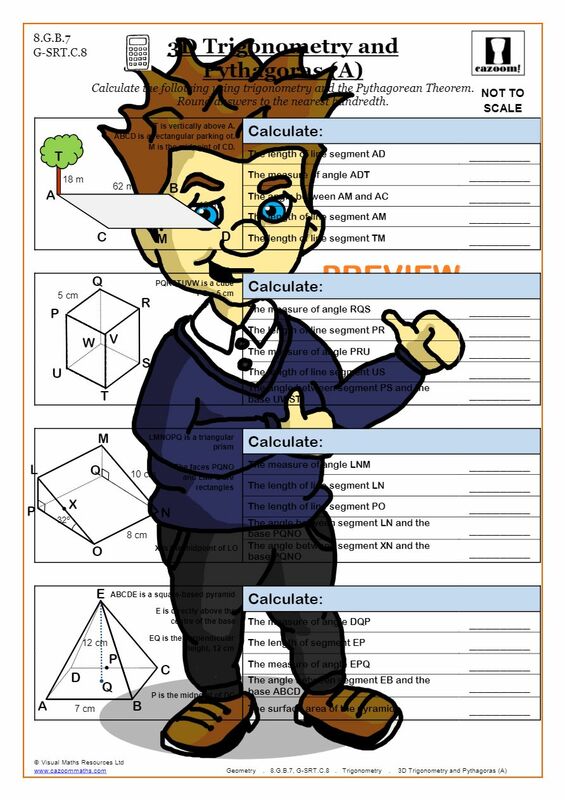 Providing students with trigonometry worksheets helps to nurture these skills, allowing them to be successful not just at their maths exams but right the way through their career.